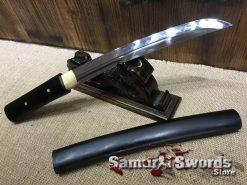 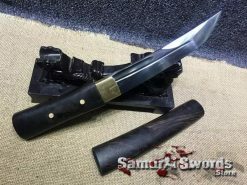 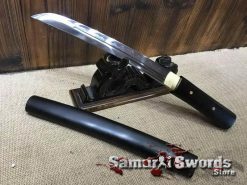 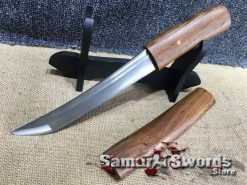 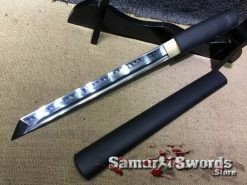 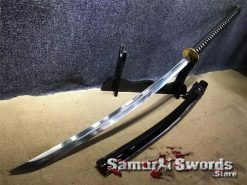 This Hand Forged Spring Steel Katana has been tailored to perform specifically for rigorous cutting of tatami omote and green bamboo up to 2-3 inches in diameter. 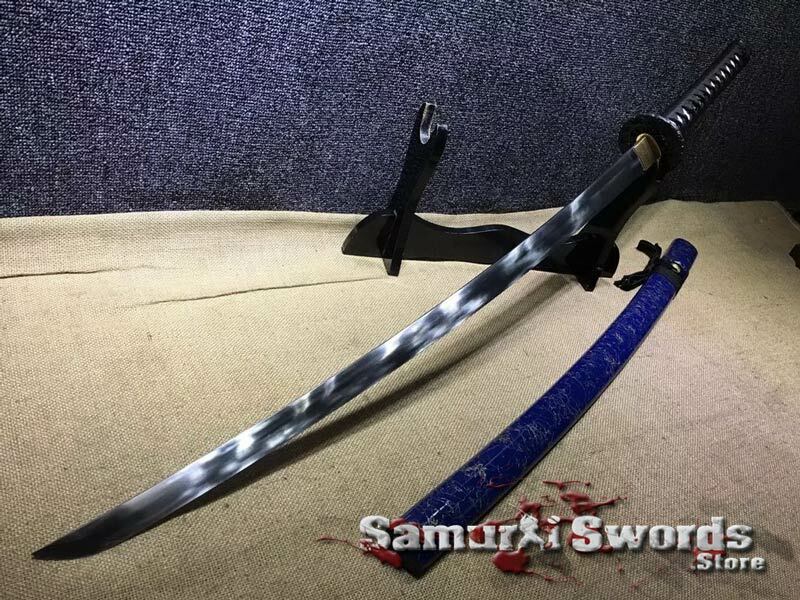 This sword features a wider and thinner blade for better cutting performance and handling. 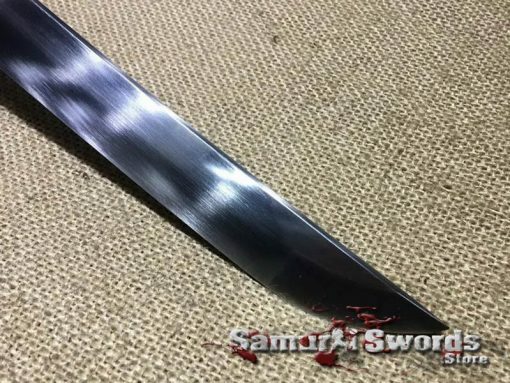 The 9260 spring steel will endure regular cutting activities and resist bending. 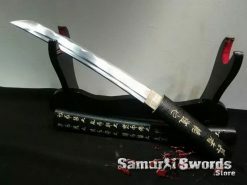 Blade: The blade is made with very tough 9260 spring steel which has a superior heat treatment. 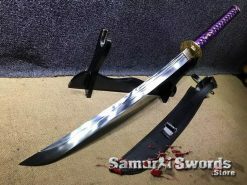 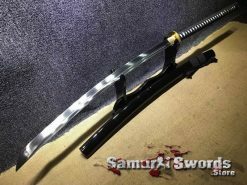 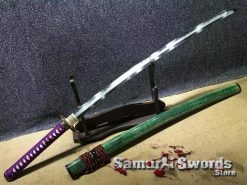 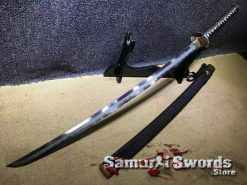 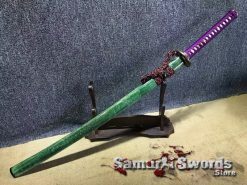 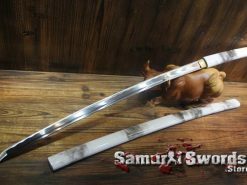 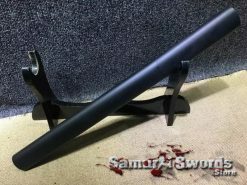 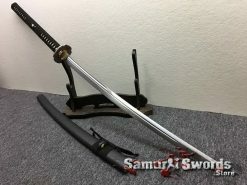 This is so that the user does not have to worry so much about the sword bending or taking a set from a bad cut, especially on hard or thick dense targets. 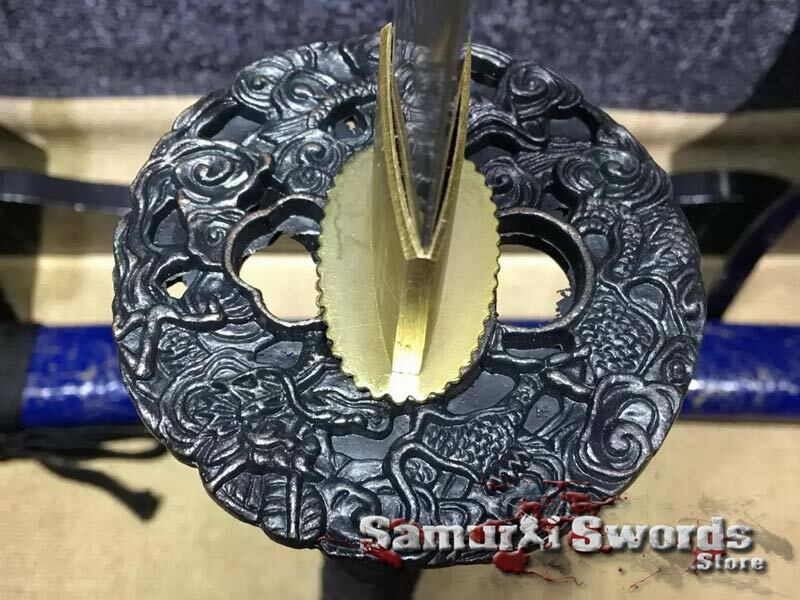 It has ha-niku or convex edge profiling right along the edge to give a strong edge with a shallow primary edge angle. This is to help reduce wedging through the cut yet still give a strong edge for hard targets. 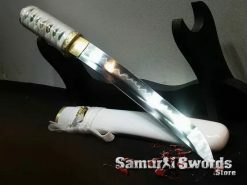 This sword also has a wider blade for better cutting performance. The blade is sharp and full tang. 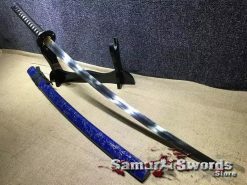 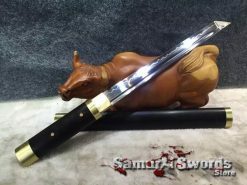 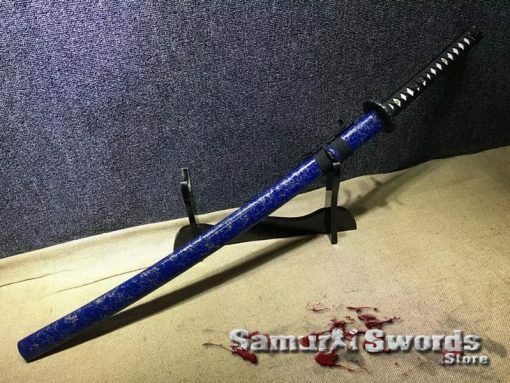 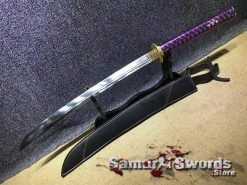 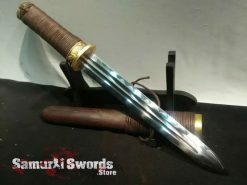 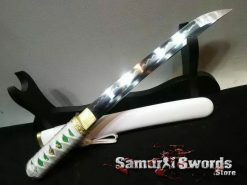 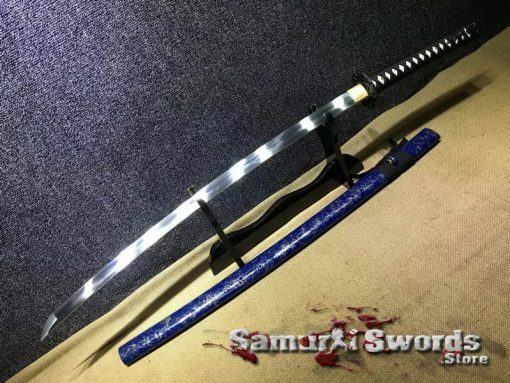 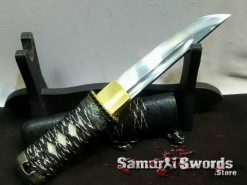 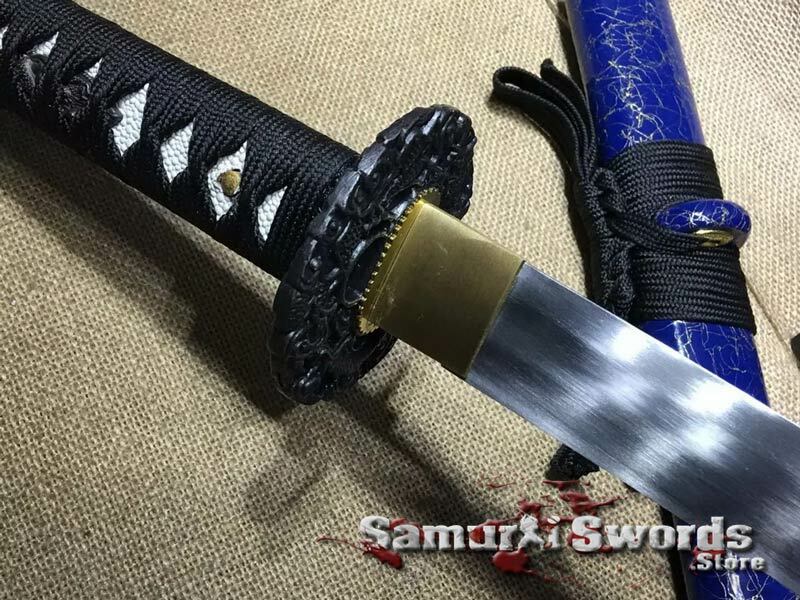 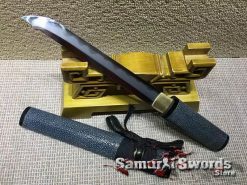 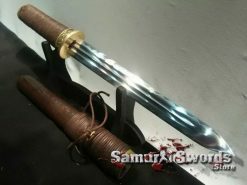 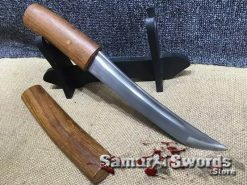 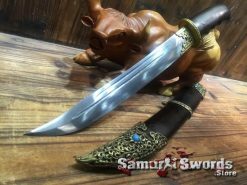 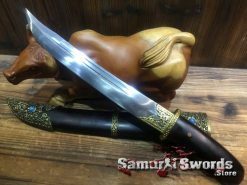 Saya: The saya of the sword is wooden with a blue gloss and gold line finish. 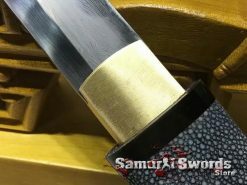 The sageo is black tied over a wooden kurigata with golden shitedome. 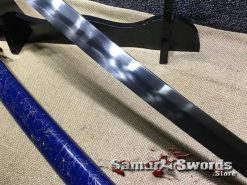 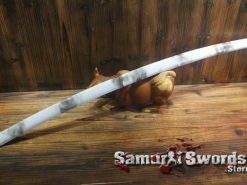 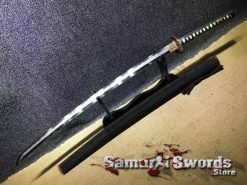 The kurikata is placed the proper distance from the koiguchi to allow the user to easily release the sword from the saya. 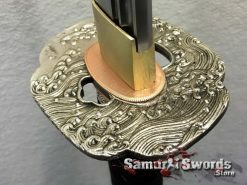 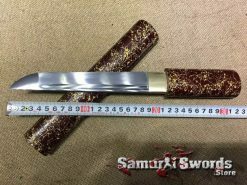 Tsuka: The habaki is a plain brass one. 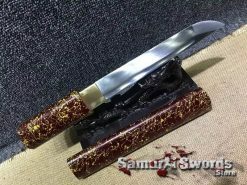 The fuchi and kashira is blackened alloy metal. 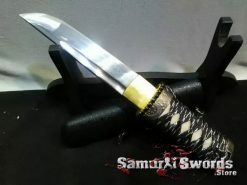 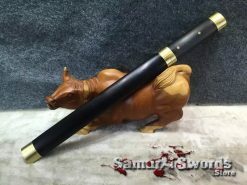 The tsuka is hinerimaki (handle wrapping) using black sythentic silk over real white samegawa ray skin. 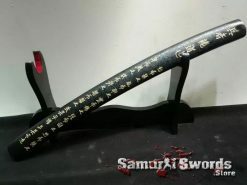 The menuki are alloy black colored dragon.